Just five minutes from downtown, and part of Green Lake Park, this lake is 239 acres of freshwater surrounded by a 2.8 mile path. Green Lake’s convenience and calm waters make it a great place for greenhorn paddlers to get some practice in. And, if paddling isn’t your thing, there is something for everyone: space to exercise, space to unwind, a beautiful setting – Green Lake has it all. Visit Green Lake in the summer and you may wonder how Disneyland ever managed to snag the tagline of “happiest place on earth.” Sunbathers laying on the grass between clusters of Frisbee-throwing friends, joggers and their dogs gleefully skipping around the shore, carefree paddlers floating in the lake’s center; a sunny day at Green Lake is just smiles, smiles, smiles, all around. (“But how did all these people get so happy?” you may ask. Well, it’s the upside to persevering through all those months of darkness and rain: once Seattleites see the sun again, they know how to make the most of it.) 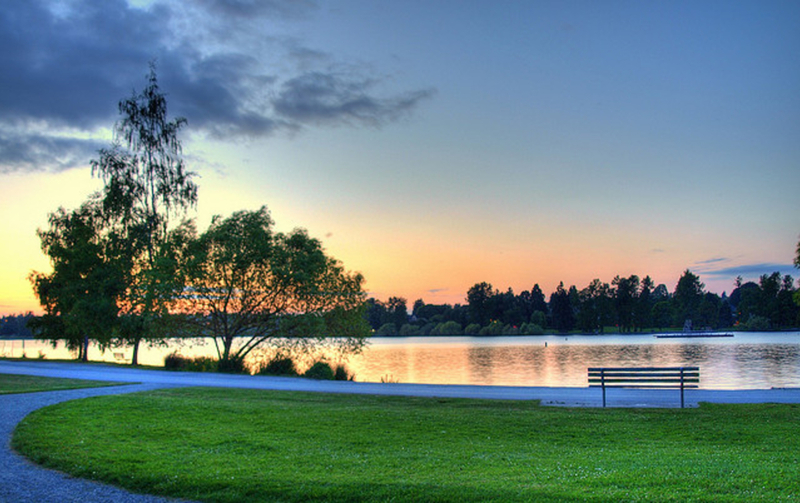 And, as most of the 324-acre park is taken up by Green Lake itself, there is no better way to spend a day at Greenlake than by paddling through its calm waters. Standup paddleboards, kayaks, canoes, sailboats, pedal-boats, and rowboats are all common Green Lake vessels. Get a workout by speeding across or relax while you slowly drift from the middle; it’s all good, and it’s all up to you. If you prefer to keep your feet dry, there is also a 2.8-mile paved path circling around the lake – a perfect distance for an afternoon stroll or jog. 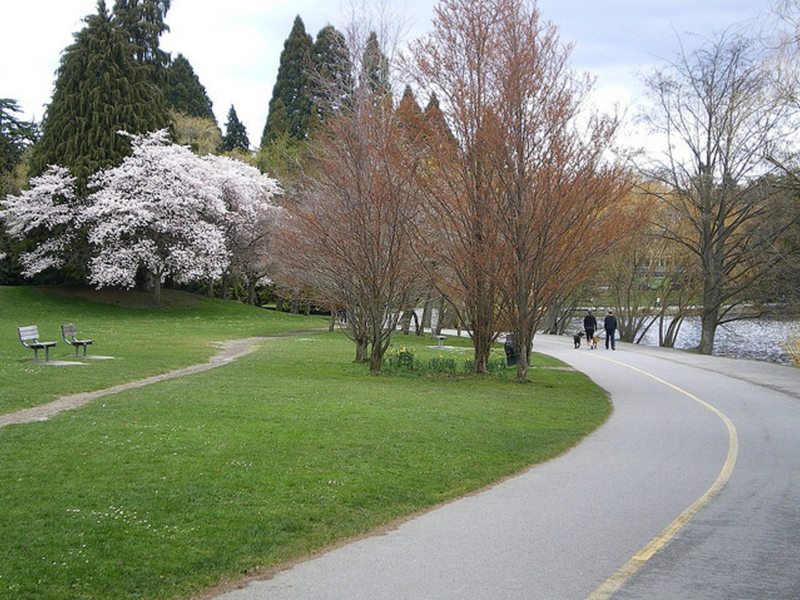 For a longer run, you can easily extend the route by adding on a loop around the neighboring Woodland Park. When the run is done, there are grassy knolls and trees to lounge beneath on the lake’s banks. And for those who don’t want to deal with a boat or board but do want to get his or her toes (or more) wet, there are stretches of beach and docks that jut into the water; these are popular spots for swimming and fishing. 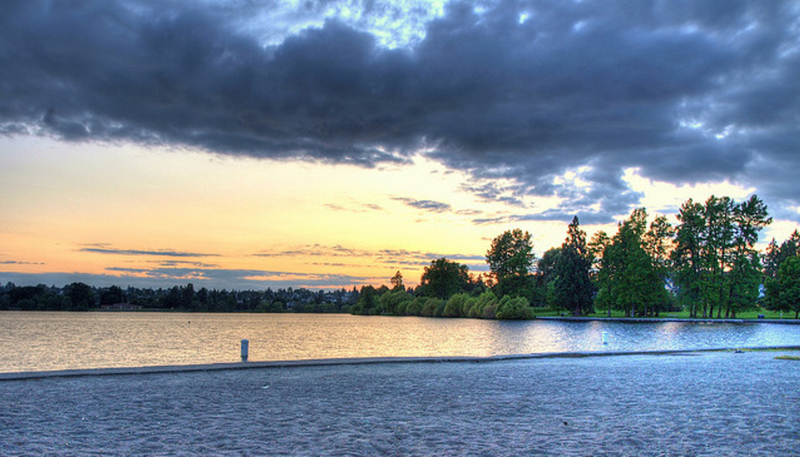 Pretty much anyone who lives in Seattle: Green Lake is one of the city’s most beloved parks. The park is located at 7201 E Greenlake Dr N. Parking can be a challenge on summer weekend days, so be prepared for the possibility that you’ll have to circle around to find street parking and walk. There is also a parking lot in the neighboring Woodland Park. The park is open 24 hours a day. 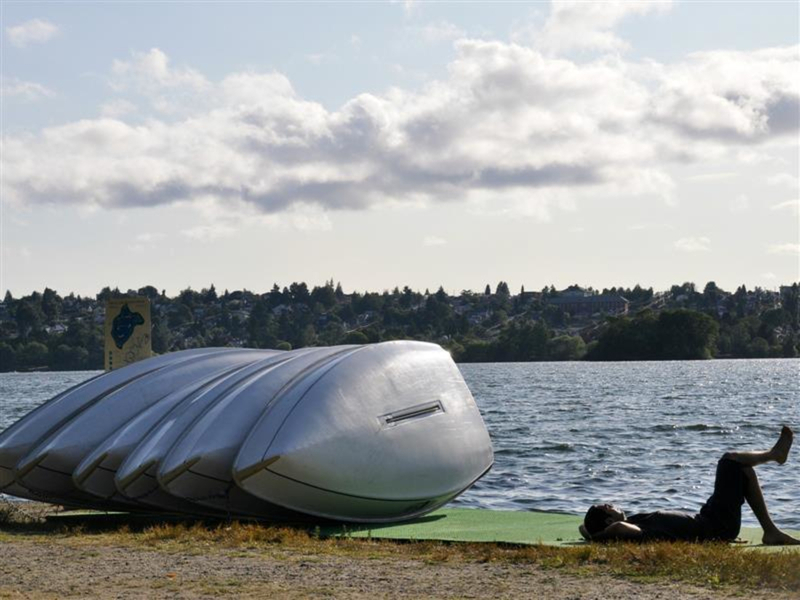 Rentals are seasonally available for $18 - $25 an hour from the Greenlake Boathouse, in the northwest corner of the park. They open weekends starting in May, then every day from Memorial Day through Labor Day.